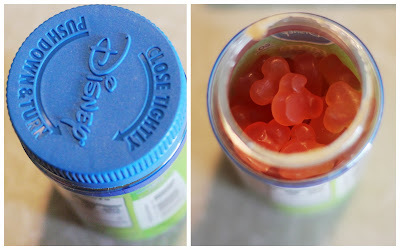 Disney Vitamins Work for Our Family! One thing that we are sure to do with any medicine -- especially these delicious vitamins -- is to store them way out of the reach of the kids. We also appreciate that the child-proof caps work better than some.